Galbraith has proudly been providing commercial design/build services to clients in the Martinsburg, West Virginia area for several years. 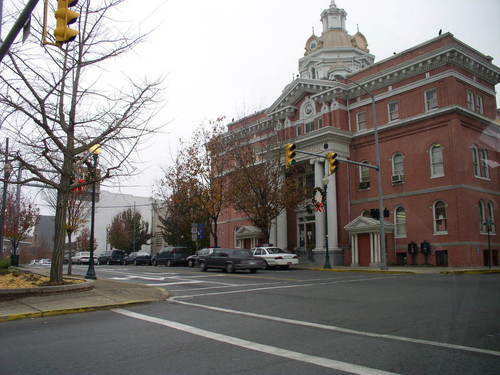 Located in the heart of the Eastern Panhandle region, the city of Martinsburg is the county seat of Berkeley County, West Virginia. With a population of around 17,668, it is the largest city in the Eastern Panhandle and the ninth largest municipality in the state. Due to its proximity to the Washington, DC, and Baltimore, MD metropolitan area, Martinsburg is experiencing a strong economic growth, while still providing a comfortable quality of life in a small town setting. Major private employers in and around Martinsburg include Quad/Graphics, Ecolab, Orgill, Macy’s, and FedEx. The city also has numerous federal government employers, including IRS, U.S. Coast Guard Operations Systems Center and the Martinsburg VA Medical Center. The City of Martinsburg also offers a variety of recreational and cultural activities year-round, like the Apollo Theatre, Belle Boyd House, Adam Stephen House and the Apple Harvest Festival. At Galbraith, we pride ourselves on our customer service. Too often, commercial contractors or designers will take a cookie-cutter approach to their projects and use cheap materials or outsource work to unqualified subcontractors. We believe that every project should be tailored to the owner’s goals and specifications without cutting corners. Our wide breadth of project experience and specialty expertise lets us assist our clients in the Martinsburg area with land acquisition and site development, planning and design, tax abatement and financing and adhering to regulatory guidelines and local stipulations, all while finishing our projects on time and on budget. Our team of experts focuses on preventative problem solving and proactively managing projects so we minimize potential issues, project change orders, and unforeseen costs. Contact us for your initial consultation, and let’s get to work on your project. We will schedule a time to meet with you, discuss your ideas, and then design and build you the perfect building for your specific business needs. With Galbraith, you always receive a job that is completed to your full satisfaction, within your established budget.